India ToursSuneeta periodically conducts culinary tours. Excerpted from Easy Indian Cooking by Suneeta Vaswani. Copyright © 2004. Reprinted by permission. All rights reserved. 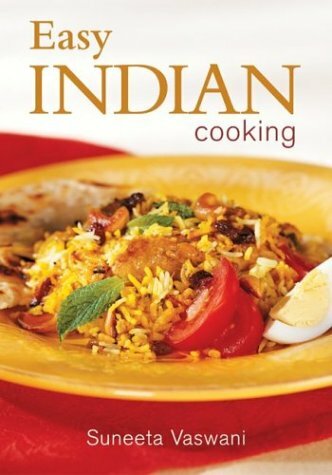 Savory Indian recipes. Indian cooking is an exciting and exotic cuisine and now its easier to make than ever before. Although Indian dishes are richly flavored, they dont have to be complicated to create in your kitchen. Youll find more than 130 recipes that are easy for beginners to make while also appealing to experienced home cooks. The authentic Indian flavors of these easy-to-prepare recipes will amaze and delight you.